The World Boxing Council (WBC) has ordered for negotiations for a rematch between American heavyweight champion, Deontay Wilder and British challenger Tyson Fury to begin. The WBC also stated that if no agreement is reached by February 5th, a purse bid will be organised by the body with the purse for Tyson Fury increased from 70/30 split to 60/40 due to Fury’s market value. A statement released by the governing body on Wednesday read: “Consistent with the WBC Board of governors voting regarding the direct rematch between WBC champion Deontay Wilder and Tyson Fury, the WBC is hereby notifying both camps that the free negotiation period is opened and if there is no agreement between the parties a purse bid will be conducted by the WBC on Tuesday February 5th. 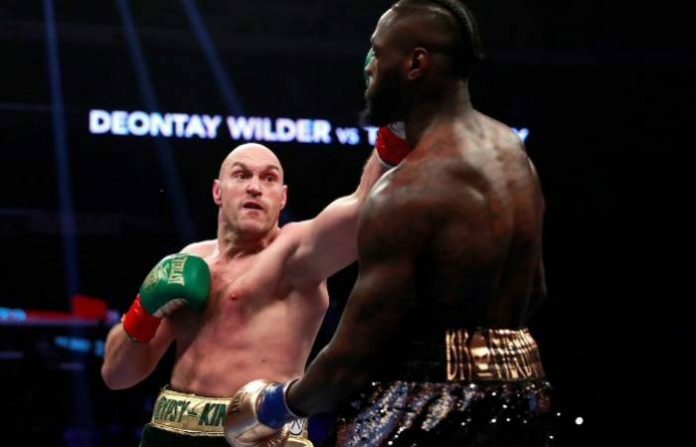 Wilder and Fury battled to a controversial 12 round draw last December.